I have to reset this every single time I open photoshop. 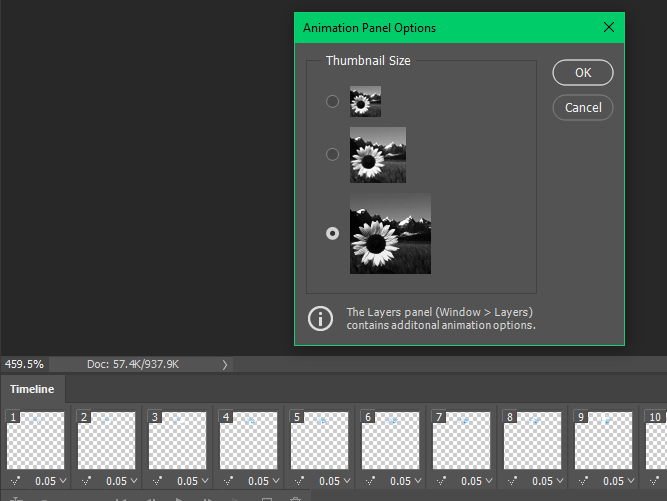 It's the default thumbnail size for the Timeline Frames. Please let users set a default for this somehow!! !